The homeless are in dire need of socks. The Joy of Sox - socks for the homeless. If you are fortunate to have some discretionary income in these interesting economic times I am sure you already have a favorite charity or two that you donate to.Â Perhaps when you get the unsolicited phone calls in the evening or those unsolicited requests in the mail you do the same thing – hang up or throw it away.Â And that is simple enough to do here – simply close out your web browser. But if for some reason you want to know more, or even want to help please read on. 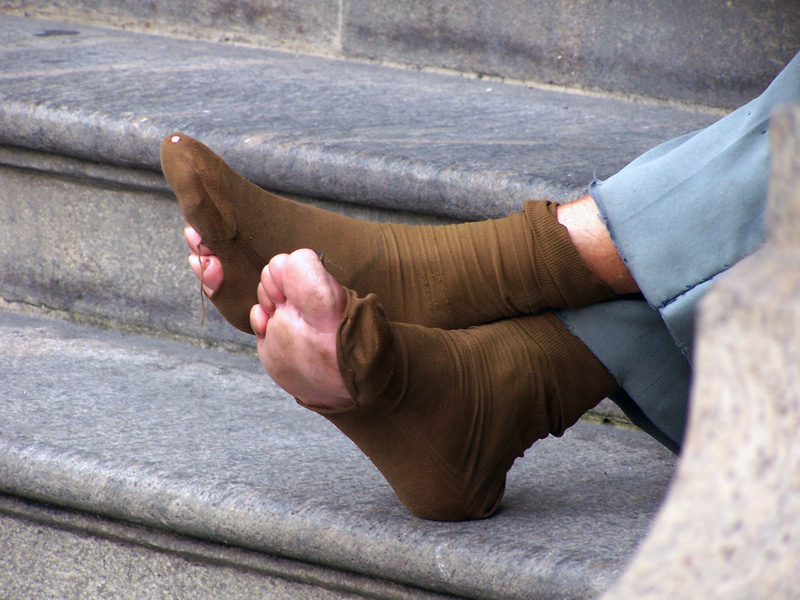 Our mission is to help provide socks for the homeless.Â We realize that this cause is not high on everyone’s list – and that’s OK.
What we are looking for is both help to distribute the socks around the year round and, of course, the funds to help pay for the socks. If you found this website and live in, say Seattle, you really can’t help us (unless you send us a check or click the “Donate” button on the website ). However, if you live in suburban Philadelphia we could use both your time and money. If you have any questions, interest or suggestions please email us by clicking here. ← What is a pair of socks worth – how about a big hug!